This glossary contains terms and definitions that may be encountered in your studies. Refer to this page when you encounter words you do not understand. More information about some terms can be found by clicking on them. Abbasid: The second caliphate, which ousted the Umayyads in 750 and lasted until 1258. It extended from parts of North Africa across the entire Arabian peninsula and the Near East, and into Central Asia. Al-Andalus/Andalusia: Territory under Muslim control in the Iberian peninsula. Not the same as present-day Andalucia, a region in southern Spain, which is only a small portion of the territory called Al-Andalus in the Middle Ages. Almohad: The Berber confederation that controlled North Africa and Spain after the Almoravids and before the Marinids (1147-1232). 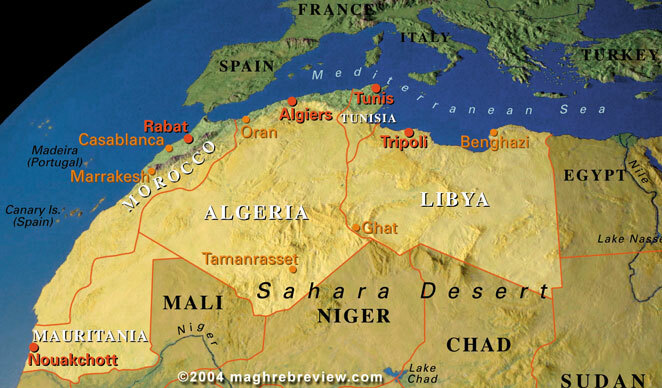 Almoravid: The Berber confederation that controlled North Africa and Spain before the Almohads (1091-1147). Apostasy: Renunciation or abandonment of a faith. Arian Christianity: An early form of Christianity that did not accept the Holy Trinity as equally divine and eternal (see Nicene Christianity.) Instead, Arians believed that Jesus Christ the Son was distinct from, and subordinate to, God the Father. This was declared a heresy in 325 CE and by the seventh century it no longer existed in Europe. Assimilation: In this context, the process by which one culture (usually a minority culture) absorbs/is absorbed by, and becomes similar to another (usually majority or dominant culture). Immigrants are often expected to assimilate to the dominant culture of their new country in a number of ways such as learning the language, changing how they dress, and learning new manners and customs. In order to avoid violence or expulsion, many Jews and Muslims of Spain were forced to assimilate with Christian culture in order to hide their faiths. Bayt ul-Hikma: The House of Wisdom. An institution founded by the Abbasids in Baghdad the ninth century that was the headquarters for a major enterprise of translation, making texts previously only available in Greek or Syriac accessible to Arabic-speakers in Al-Andalus. Berber: An ethnic group and an umbrella term for North African tribes. Caliphate: A political state headed by a Muslim ruler called a caliph, who was also considered a religious authority. Convivencia: Usually translated as “the Coexistence.” It is used to describe a period of medieval Iberian history from the eighth to fifteenth centuries, when large populations of Jews, Christians, and Muslims lived together and interacted in Iberian society in relative peace. Dhimma: The protected status of Jews and Christian (“People of the Book” or dhimmis) in Muslim-controlled Iberia. Emir: Title of Muslim rulers like Abd al-Rahman I, literally meaning “prince” in Arabic. An emirate is the political entity controlled by an emir. Expulsion In this context, the act of forcing a person or group to leave a region. The expulsions of Jews and Moriscos from Spain were made by royal edict. Fatimid: A Shi’i dynasty established in 909 in North Africa in opposition to the Abbasid Caliphate. Fatwa A formal ruling or interpretation of a point of Islamic law given by a legal scholar. They are usually issued in response to particular questions posed by individuals or courts. Although fatwas are authoritative, they are not considered legally binding, so a petitioner can seek an alternate opinion if they are unconvinced by the answer they receive. Franks: A Germanic people who invaded the western Roman Empire in the fifth century. They ruled territories in present-day northern France, Belgium, and western Germany, and formed the most powerful Christian kingdom of the early Middle Ages. Charlemagne was responsible for expanding Frankish territory, creating the Carolingian empire. The Carolingian empire dissolved by the mid-ninth century, but the people of the western Frankish territories continued to call themselves Franks. The name France is derived from Frank. Hadith Record of the sayings of the Prophet Muhammad. A source of Islamic legal and moral authority second only to the Qur’an. Historiography: The theory and history of historical writing. The study of how history is and has been written, recorded, and passed on. Includes critical study of the varying and even conflicting interpretations of events by different historians and schools of historical thought. Iberia: The Iberian Peninsula, which is now mainly within the borders of Spain and Portugal, as well as Andorra, Gibraltar, and a small portion of France. Islamic: Pertaining to the religion of Islam. Describes a religion, rather than a cultural or ethnic group. Islam, and the adjective “Islamic”, encompass many cultures and ethnic groups. Jihad Literally, “struggle”. Greater jihad refers to the internal spiritual struggle against ego. Lesser jihad is a self defensive battle, waged in various ways, in defense of Muslims. Marinid: A North African Berber dynasty that replaced the Almohads, roughly around 1200-1400. Moors: A term used in the Middle Ages to refer to Berbers and Africans, and Muslims. Moriscos: Muslims forcibly converted to Christianity during the Reconquista. Also called “crypto-Muslims” because many continued to practice Islam in secret after being baptized. Moriscos retained their use of Arabic language and alphabet, as well as dress and other aspects of Andalusian culture that identified them as former Muslims or descendents of Muslims. The Moriscos were eventually expelled from Spain in 1609. Mozarab: “Arabized” Christians who adopted aspects of Islamic language and culture as the result of living under Islamic rule in Iberia. “Mozarabic” describes the art, architecture, and other forms of the material culture produced by mozarabs. Mudejars: Muslims living under Christian rule from roughly 1250 to1500. Similar to the dhimmis, mudejars were a protected community, but they had to pay a special tax. Muslim: An adherent of Islam. Mwashshahat (sing. muwashshaha. ): A form of poetry that originated in tenth century Iberia. Also called “ring songs” because of the use of lyrical returns to a certain refrain. Nasrid: The last Muslim dynasty in Iberia. Ruled Granada from 1238-1492. Nicene Christianity: A form of Christianity that developed in the fourth and fifth centuries in response to Arianism. Nicians considered God the Father and God the Son to be equally divine and eternal, which came to be Orthodox Christian belief. Oliphant: A horn made out of an elephant’s tusk. In The Song of Roland, Olivier asks Roland to blow his oliphant to notify Charlemagne and the other troops that they are being attacked. Roland refuses, but when his troops are overwhelmed he blows it so that Charlemagne can see what has happened and avenge them. Roland blows the oliphant so hard that his temples burst and he dies. Orthodox, orthodoxy Belief and practice conforming to the authoritative, established doctrine of a religion. The Spanish Inquisition was concerned with enforcing Catholic orthodoxy, which should not be confused with the Orthodox Church, which is a particular branch of Christianity distinct from Catholicism and Protestantism. Orthodoxy in the Orthodox Church and the Catholic Church can in fact be different. Othering The process by which one cultural group defines its identity through comparison with other groups. The “othered” group is typically a socially subordinated group in society, or are external to the dominant group’s society. For example, Jews living under Christian rule, or Muslim societies outside Christian territories. The dominant group portrays the othered group as in some way fundamentally different and inferior to itself, thereby justifying its own sense of superiority. Orientalism: A term used to describe how Western scholars, artists, and writers have represented, described, or interpreted “the Orient” or “the East” (which as different times has encompassed communities of the Middle East, North Africa, Central, East, and Southeast Asia.) Orientalist approaches tend to depict the people, places, and culture of these regions in stereotypical ways and as exotic or strange in comparison to Western civilization. Orientalism has been criticized for dividing the world into East and West from a perspective of “us” versus “them” that disparages the East in comparison to the West. See Othering. Othering: The process by which one cultural group defines its identity through comparison with other groups. The “othered” group is typically a socially subordinated group in society, or are external to the dominant group’s society. For example, Jews living under Christian rule, or Muslim societies outside Christian territories. The dominant group portrays the othered group as in some way fundamentally different and inferior to itself, thereby justifying its own sense of superiority. Pagans Followers of pre-Christian religions who worship multiple deities, such as ancient Greek, Roman, and Egyptian religions. In the Middle Ages, the term was often used to refer to anyone who is not a Christian, including Muslims. The Song of Roland refers to Muslims as pagans, even though Muslims believe in the same God as Christians. People of the Book: In Islam and the Qur’an, “People of the Book” refers to Jews, Christians, and Muslims. All three religions are recognized as being followers of the God of Abraham, and their scriptures are therefore recognized by Islam as divine revelation, with the Qur’an representing their completion. Philosophy The study of knowledge, ethics, reasoning, and values. Philosophy can overlap with theology and with ideas and issues relevant to religion, and theology and religious scholarship often use philosophic concepts and methods such as logic. Despite their overlap, religion and philosophy are often treated as distinct fields of knowledge and inquiry. This is usually because religious scholarship and study primarily uses reasoning based on authoritative religious texts and traditions, while philosophy primarily uses reasoning based on direct observation of the world. In the Middle Ages, the division between philosophy and religion was often presented as a division between faith (in scripture and the revealed truths it contains) and reason (or the use of logic to prove truths). Qur’an: The scripture and central text of Islam. Considered to be the word of God revealed to Muhammad. “Reconquista”: A name frequently used in medieval history for a series of campaigns by Christian states to retake the Iberian peninsula from Muslims who had “conquered” it in the eighth century. Spanish and Portuguese for “Reconquest”. Saracen: A term originally used by the Byzantines to refer to Muslims. The term became widely used in Western Europe as well during the crusades. Scapegoat A group or individual who is unfairly blamed for something others have done, or that has happened to the larger group. The scapegoat is typically already marginal in society, and they come to be negatively stereotyped and characterised as fundamentally different to the mainstream of society. The scapegoat becomes an object of hostility for mainstream society, and can even be perceived as a threat or an enemy, making them a target for violence and persecution. Shi’i/Shi’ite: One of the two major branches of Islam. Originated as supporters of Ali Ibn Abi Talib, the fourth caliph, or successor to Muhammad. Ali was Muhammad’s close confidant and son-in-law so many felt that he should have succeeded Muhammad upon the Prophet’s death in 632 CE. In 656 CE, Ali was raised to the caliphate, but his selection was contested and he had to wage campaigns to consolidate his power until his murder in 661 CE. Shi’ism eventually evolved from a political faction into a collection of related sects distinct from the larger branch of Islam, Sunnism. Sunni/Sunnite: One of the two major branches of Islam, comprising of the majority of Muslims worldwide. 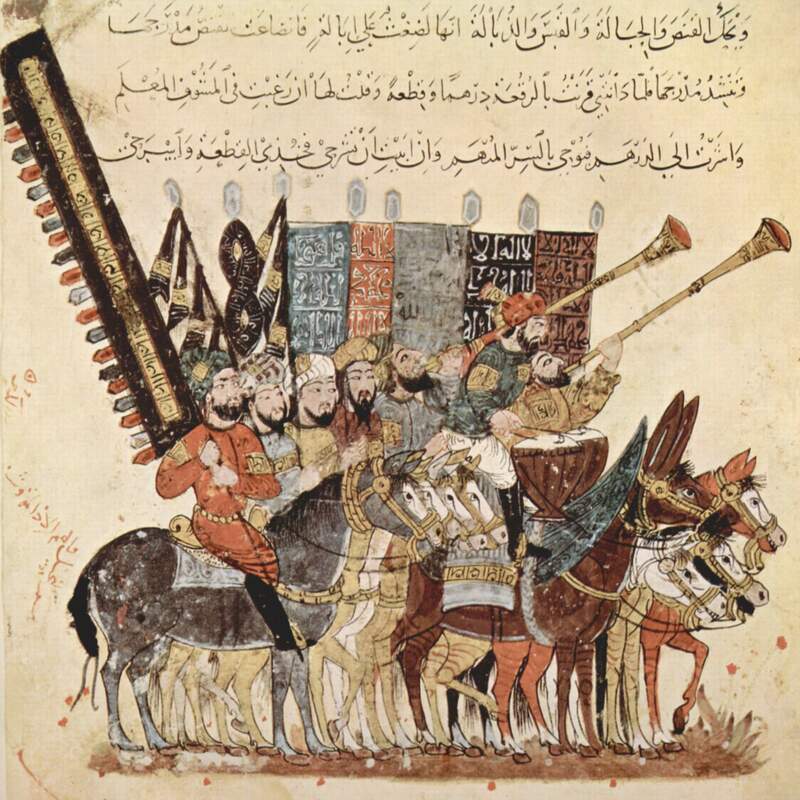 In contrast to the Shi’ites, who consider Muhammad’s son-in-law Ali Ibn Abi Talib to be his rightful successor, Sunnis recognize all of the first four caliphs on the basis that Islamic leadership ought to be determined by current political realities of the Muslim world rather than a blood lineage. For a brief video outlining the differences between Sunnis and Shi’ite Muslims, click here. Talmud A set of texts of commentary and interpretation which serve as a sacred and authoritative text in Jewish religious tradition second only to the Torah. Ta’ifa, Tawa’if: Rivaling Muslim states that arose after the breakdown of the Caliphate in Iberia, lasting from 1031-1091. They were consolidated by the Almoravids. Theology The study of God or divinity and religious doctrine. Torah God’s revealed teachings in Judaism. In its strictest sense, Torah refers to the first five books of the Old Testament, which were revealed to Moses on Mt Sinai. The term is also used to refer to the entire Hebrew Bible. Treaty: A document recording an agreement or arrangement between two states that is reached through negotiation. Tribute Payment by one ruler or state to another in acknowledgement of political submission or in exchange for protection. Can take the form of an ongoing tax. Umayyad: The first caliphate established after the death of the Prophet Muhammad and his four immediate successors. The Umayyads ruled from the capital Damascus from 661-750. Vassal: In medieval society, a vassal is a person in a relationship of mutual responsibility with a person of higher status. Each person in this relationship has obligations to the other. The higher status person, who might be a king or lord, provides land, protection, and other privileges to the lower status person in exchange for fealty (loyalty) and services such as agricultural labour or military service. Roland and Ganelon are vassals to Charlemagne, and as high ranking knights would have their own vassals as well. Vernacular A vernacular language is a region or country’s native language. It is often the commonly used language, in contrast to a “high culture” language used for scholarly, religious, or literary purposes. Medieval vernacular languages included varieties of French, Italian, German, and other regional languages, while the “high culture” languages were Latin in the West, Greek in Byzantium and the East, Arabic in the Muslim world, and Hebrew in Jewish communities. Medieval Spain was home to numerous vernaculars including Mozarabic languages and Spanish dialects still spoken today such as Catalan, Basque, and Aronese. Visigoths: A subgroup of the Goths, who were nomadic Germanic tribes. Historians have traditionally held the Visigoths responsible for the “sacking” of Rome in 410. They also established significant territories and rule in Gaul (France) and Iberia.